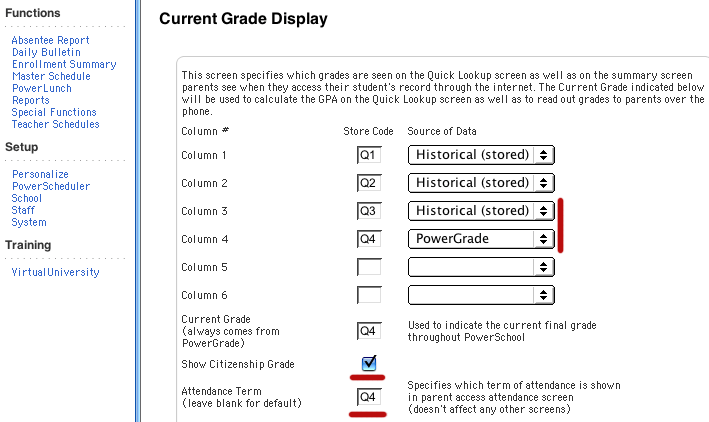 Select School from the Setup menu then click on Current Grade Display. Set the Source of Data for the just completed term to Historical (stored) and set the current term's Store Code with the Source of Data to PowerGrade. Check Citizenship Grade if you want it to show. Type the store code for the current term in the Attendance Term field.